Pittsburgh Prep Unlimited is for students looking to apply to the country’s most competitive universities. This program is recommended for sophomores and early term juniors (freshmen may elect this option, if they have completed the requisite coursework ). 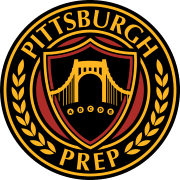 Pittsburgh Prep Unlimited Program is available for a flat tuition fee of $6,000. Classes and tutoring sessions are held throughout the day and evenings, so we are almost always in the office.